Brand new Calla Blanche gown, unaltered and in perfect condition. 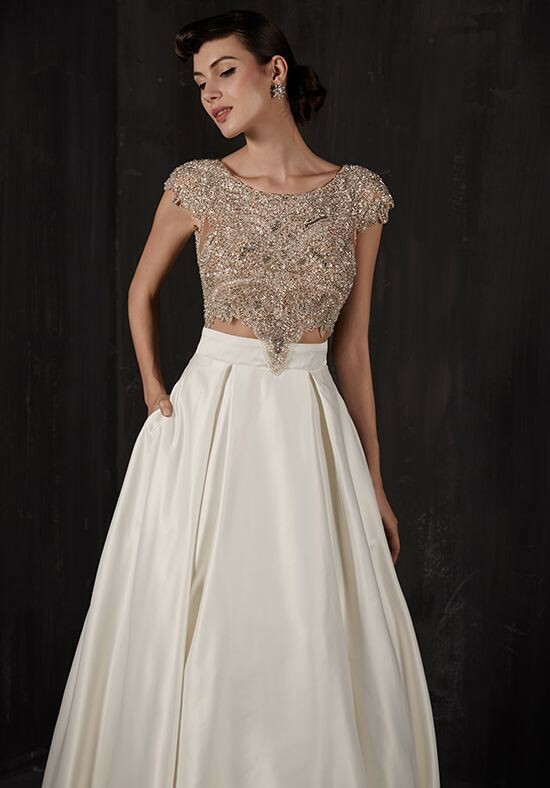 A sheer cap-sleeve bodice is adorned with elegant bead-work and unique illusion details. The bodice meets an ivory satin skirt at the waist that flows into a chapel-length train. Style number 16101, Celeste. Retail price $2500-2999.